Bill Crain is heading back to jail — this time for 15 days. The longtime City College of New York psychology professor, who has drawn widespread attention for his recurring civil disobedience arrests during the New Jersey bear hunt, pleaded guilty Wednesday night in Andover Township Municipal Court. Crain, 73, was ordered to report to the Sussex County Jail on Jan. 2 and fined $2,500 on two charges stemming from his actions Oct. 14, in which he exited the designated protest area in Fredon and walked across the street toward a check station for hunters returning with bears. He spent just over a week in the same jail last winter after being sentenced to 10 days by Judge James Devine, the same judge who presided Wednesday. His first six convictions were resolved with fines. In addressing Devine, who had mused that Crain’s appearances in his court were “getting to be an annual event,” Crain alluded to Gov.-elect Phil Murphy’s plan to halt the hunt. “You probably won’t see me next year,” Crain said. 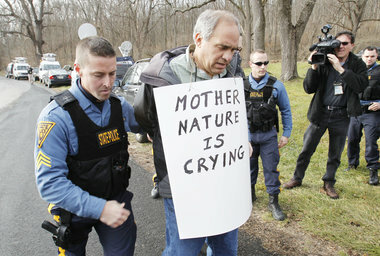 Crain, a Dutchess County, N.Y. resident, is the only protester sent to jail since New Jersey resumed the controversial bear hunt in 2003. Crain read a statement in court reiterating his opposition to the hunt and noted that more than 4,000 bears were killed in the 10 hunts held since the state ended its three-decade moratorium. “My act of civil disobedience was meant to demonstrate my refusal to go along with the authorities promoting this slaughter. I hope it drew attention to how seriously I take the murder of other animals to be,” said Crain, who was joined in court by his wife of 50 years, Ellen. Crain had faced up to six months in jail for obstructing the administration of law, one of the two charges to which he pleaded guilty. 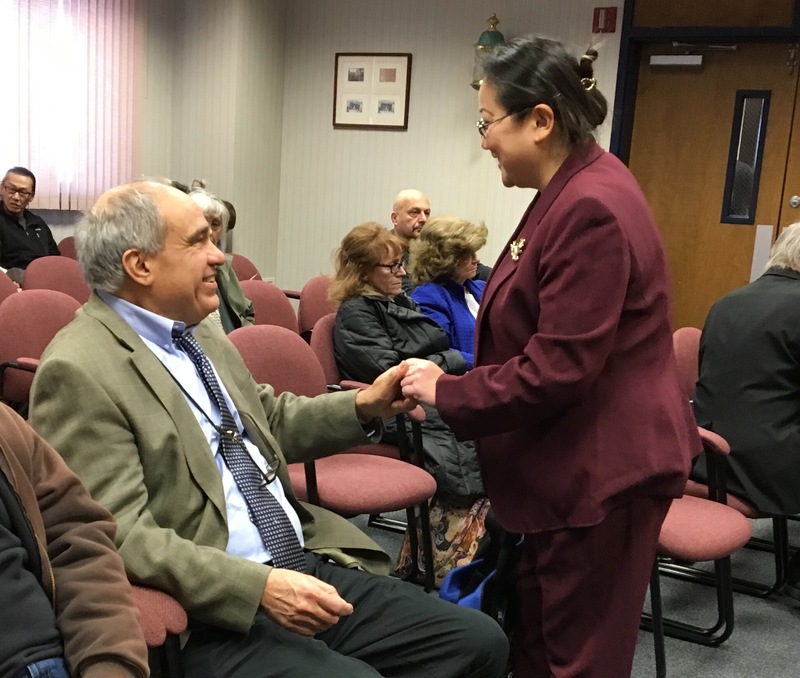 Municipal Prosecutor Anthony Arbore agreed to recommend 15 days in jail after consulting with Doris Lin, Crain’s attorney. His jail reporting date of Jan. 2 was set in order for Crain to spend the holidays with his family and not interrupt his teaching schedule at City College of N.Y., where Crain has been on the faculty for 47 years. Bill Crain said he is getting along with fellow inmates and guards at the Sussex County jail. Four other protesters arrested during the 2017 hunt, which concluded Sunday, also pleaded guilty on Thursday and were fined between $250 and $500. A total of 409 bears were killed in the hunt, which took place over 16 days in October and December.